If you loved the three DIY goodie bag ideas in my last post then you’ll likely continue to gush over these equally adorable, affordable and easy ideas as well. 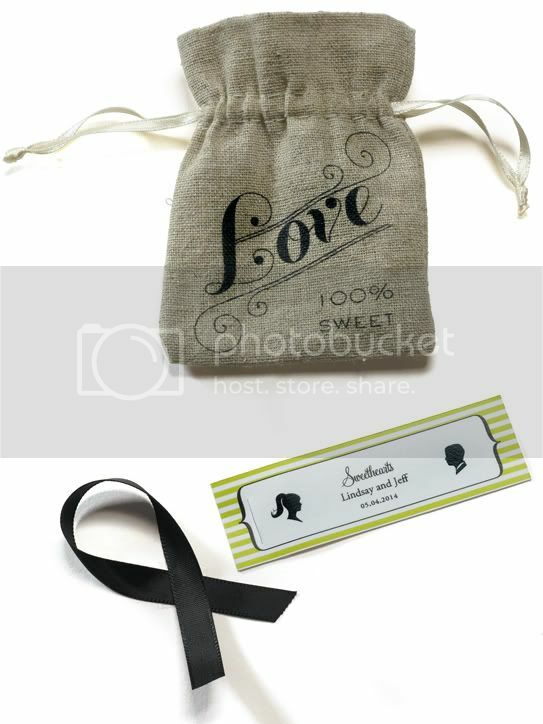 Making your own wedding favors is always a great way to add your own personal style to your special day, and I think these little goodie bags are just too sweet not to love! 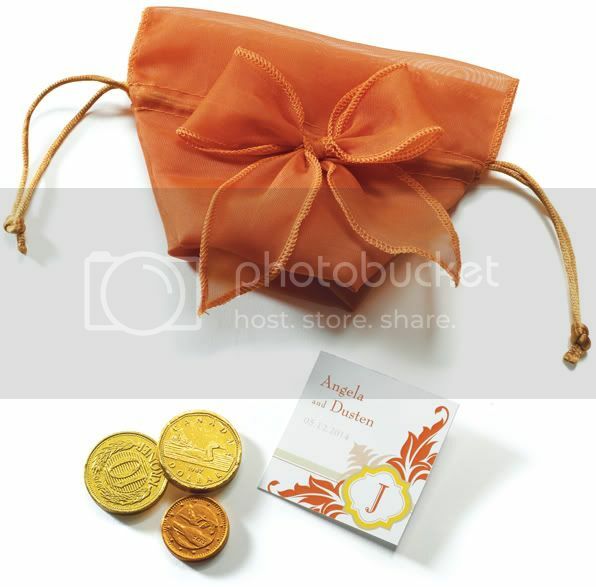 These pretty organza bags also come in yellow, green and ivory, but I think this bright pop of orange is great for summer weddings in the sun. 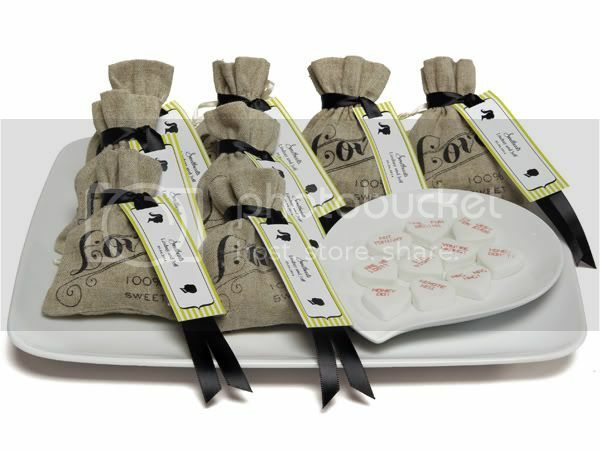 Simply fill the little bags with chocolates, trinkets, tiny jam jars or anything else you like and tie them closed with the drawstring. 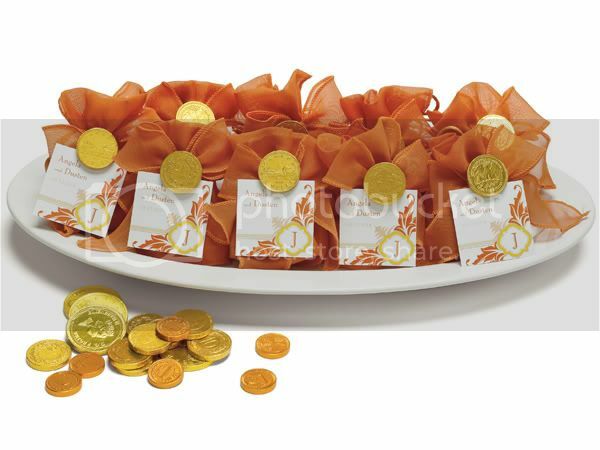 You can leave them like that or add a little more pizazz by gluing chocolate coins and a cute tag onto the outside. These little cuties are perfect for vintage styles weddings! Fill them with everyone’s fave talkative treat: candy hearts, or any treat for that matter, fasten them with ribbon and add a personalized tag as the finishing touch. 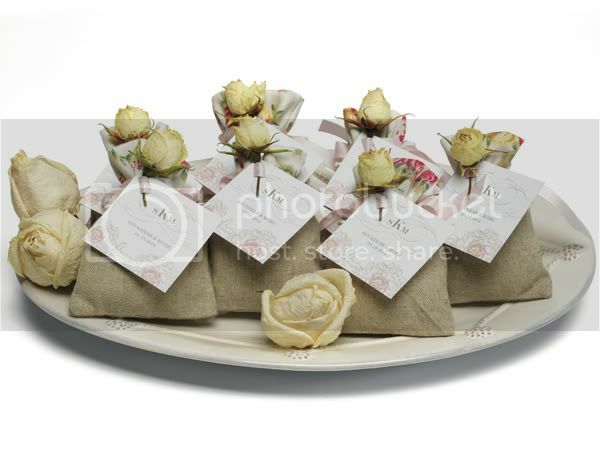 So simple yet such a sweet favor your guests will love! Can’t you just picture these little bundles of goodness displayed at a summery celebration or a Sunday brunch type wedding? Fill them with tea leaves or even potpourri and fasten them closed with the drawstring. 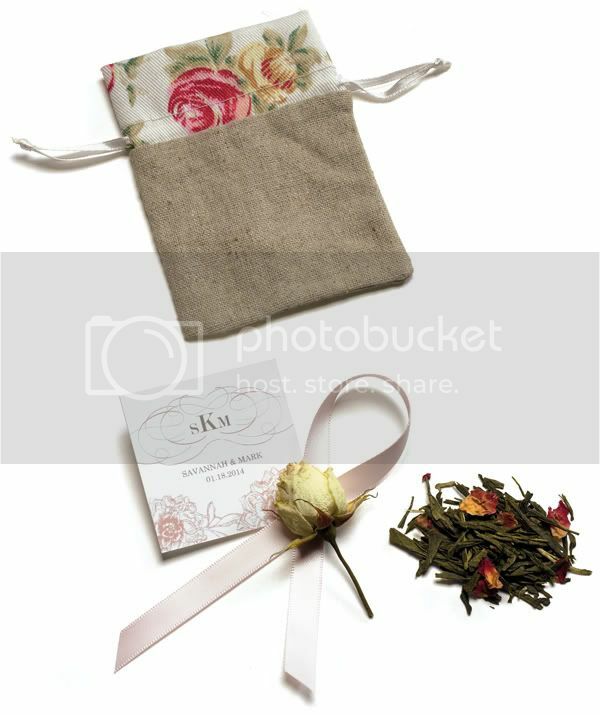 Cut a small slit on the top left corner of the personalized tag, wrap the ribbon at the top of the bag around the drawstring and thread the ribbon through the slit on the tag, fastening a pretty white rosebud to the front before threading the ribbon back through the slit. Tie it and voila! What is your favorite DIY favor idea? 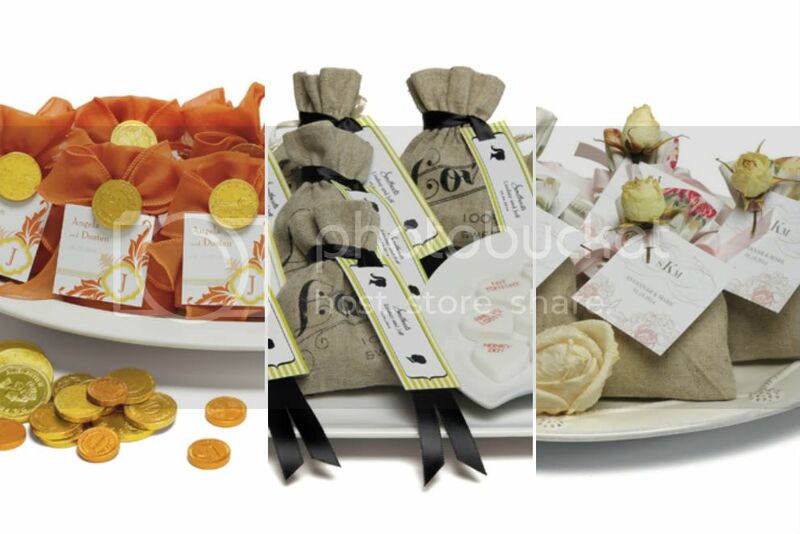 And what advice do you have for Bride’s tossing around the idea of making their own favors? I’m sure other DIY Brides would love to hear all about it!